The one-day conference at Allan Park South Church, taking place between 10am-4pm, will feature presentations, workshops and keynote speakers on the topic of ‘Being Together & Learning Together: Dementia Friendly Developments in our Communities’. The event is being jointly hosted by Stirling Presbytery and the Kirk’s Church and Society Council. Rev Helen Jamieson, the minister of St Andrew’s Parish Church in Carluke who helps run a drop-in support service at her church for people with memory difficulties and their carers. Helen will be speaking on ‘discovering a calling to be dementia-friendly in the community’. Sarah Metcalfe, chief executive of Playlist for Life; an initiative which uses the power of music to connect with those living with dementia. Sarah will be speaking about the resources available through Playlist for Life. A series of presentations from communities from across Scotland will offer attendees additional inspiration and ideas. 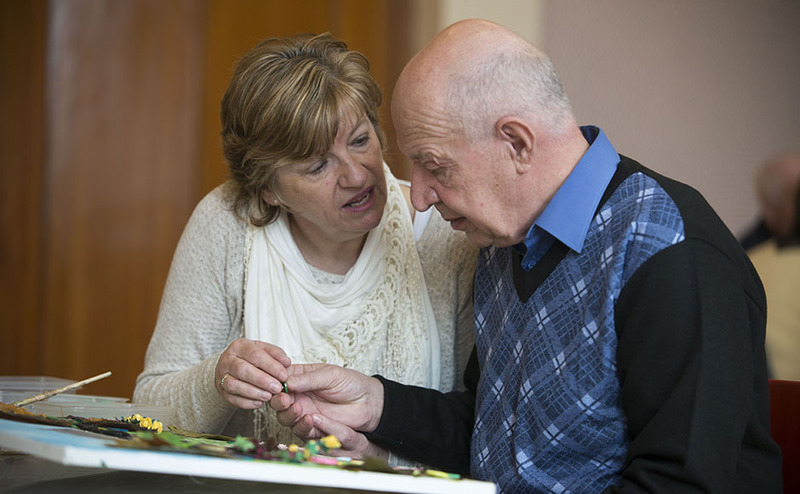 Meanwhile, workshops will allow those coming along to share and learn with others and explore opportunities for dementia friendly developments in their own local areas. To find out more or register your attendance, please email Stirling Presbytery’s dementia co-ordinator, Bonnie McDowell, on bmcdowell@churchofscotland.org.uk or call her on 07704 601983 by Tuesday 12 March. Please note, attendees are kindly asked to bring a packed lunch. Teas and coffees will be provided in the morning and afternoon.